Froglegs is growing up. Fast. Way too fast. The boy is seven now, and tomorrow is his last day of First Grade. I know…such a huge milestone. Do you remember all the things you learned in First Grade? What was the most important thing? For me, it was READING. And for Froglegs, learning to read has been liberating and validating as the Big Brother. 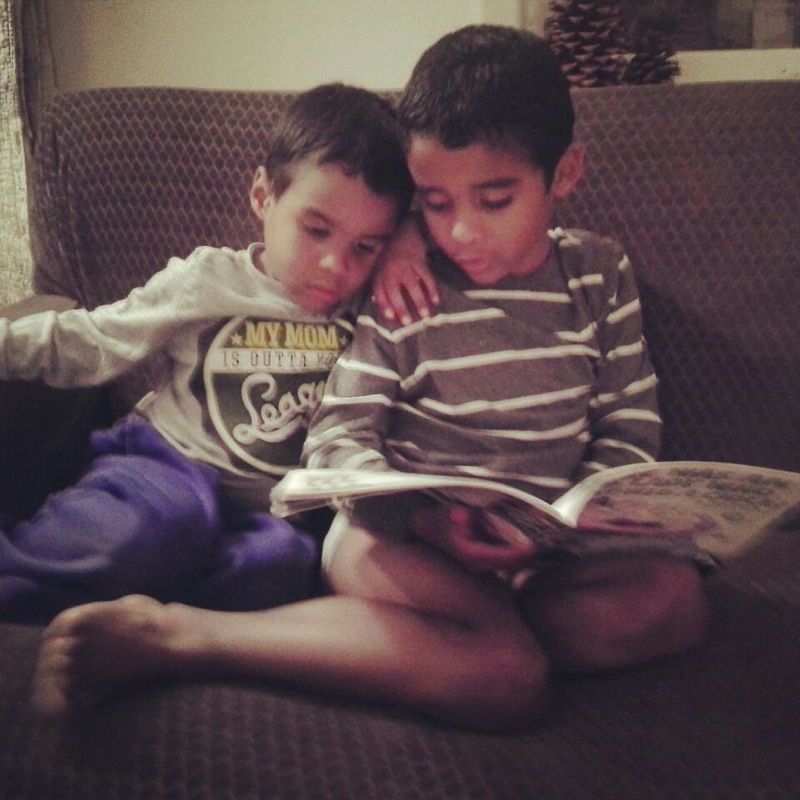 Somehow reading is a lot more fun when you read to your little brother…do you see a little bit of hero worship here??? Froglegs used to be a little stinker. He still CAN be, but he has adopted a new role…man of the family. Without a dad, he feels a lot of responsibility for his brother and sister. He almost panics when they are out of sight. That is an awful burden for a seven year old. But Froglegs is adamant about watching out for them and making sure that they tow the line on staying safe. And how he loves his brother and sister…when he isn’t trying to throttle them for something. But somehow, he just needs to let them go to Sunday School without him…seriously, they will be ok.
Last week, he had a very bad dream. Not the monster kind, or the zombie kind. No. This dream was very realistic and very bad. He dreamed that his little brother died. I know. What an awful dream, no matter how young or old you might be. He was moaning and thrashing in his sleep, and breathing really fast. His mom was afraid he was having a seizure, but he woke up and out spilled the description of the bad dream. My daughter tried to comfort him, but he was not to be comforted until both his little brother and sister were in bed with him. So, all four “slept” the remainder of the night in that not-so-very-big bed…and Froglegs continued to check on Dancing Eyes until morning came. When Froglegs woke up, he told me about his dream. This Nana gave him an extra big hug and reminded him that there is Someone else who truly watches out for all of them…his Heavenly Father. Froglegs is learning that even in the absence of his earthly father, he has the perfect Heavenly Father watching out for him. He is omniscient–He knows and understands everything. He is omnipresent–He is everywhere. He is omnipotent–there is no end to His power. Those attributes bring a lot of comfort to a little boy with a big heart with a huge chunk of hurt. And I just hugged my little grandson a little tighter and didn’t say anything else. The season is changing here in the midwest. And I am very thankful, let me tell you! After the Winter that wasn’t, we had such an awesome Spring that changed into half of a great Summer. Unfortunately, Summer turned into the Drought/Heat Wave of 2012. But NOW, the air is brisk. Leaves are changing color and beginning to fall off the branches. Acorns and black walnuts are falling off the trees. Squirrels are scurrying. I have enjoyed seeing several large flocks of migrating birds visiting my bird feeders here and there. It also means that the hummingbirds and butterflies have journeyed to their Winter homes down South. I continue to coax a bit of life out of the garden…hoping for some color for a few more weeks. And am still awaiting the opening of the mums. Yesterday…FROST on the windshields! It was so wonderful! There is something about this season that I find absolutely INVIGORATING! Coffee is especially great on those cold mornings. Snuggling under the blankets (and not suffering from heat flashes) and actually having a fire in the fireplace. I love this weather. It isn’t just the weather that is changing. Froglegs has learned to READ! It is a special experience now at bedtime to hear him reading to his brother and sister. There are times that childhood changes are mixed with sadness at the loss of that baby sweetness, but I must say hearing a child learning to put letters and words together is something very, very special for this Nana. I remember when my oldest child learned to read. Shopping for groceries suddenly took A LOT LONGER because she wanted to read every. single. sign. On each and every aisle, every time we went into the store. You could see the smiles on other parents’ faces…they knew exactly what was happening. Such pride in those first successes at reading. And pretty soon we were struggling to keep up with her. She read every book she could lay her hands on. She sacrificed recess to work on her school work. It had to be PERFECT in her mind. You know how those perfectionists are, don’t you? But now, she is a mommy and reads to her own baby…continuing to see those developmental changes for herself. They live so far away, but it was so much fun to get to hear her when they visited us over Labor Day. And every day, I now get to enjoy listening to Froglegs reading his stories to me, and trying to sound out the words. And even better, trying to read his original stories that he writes out on his fabulous drawings. I hope I never get tired of learning. Are you still learning? I know so many of you have been praying for a young man, David Hanson, who suffered a devastating fall from a great height while working as a lineman. What the Lord has done and continues to do is nothing short of miraculous. The original report was nothing less than hopeless. Doctors gave no reason to believe he could recover. The brain stem injury was extremely serious. Multiple fractures requiring multiple surgeries. It was overwhelming just to figure out how to begin to pray. The family set up a David Hanson Update page on Facebook. In just a matter of a few days, nearly 3000 people had joined the page, praying and encouraging the family with passages of scripture, songs and words of hope and praise–even in the knowledge that David’s chances of survival were so very slim. Daily, thousands of people have prayed all around the world. Total strangers to this young man and his wife. Coming together to pray for God’s will and His pleasure through this tragedy. Initially, the reports gave no hope, yet still the people continued to pray. David tolerated various surgeries well. He has been, after all, a very healthy and strong young man. I am very excited to give a good update today! David was initially not breathing on his own at all and needed the vent to sustain life. Two days ago, I thought I saw David take a deep breath on his own but thought, “That can’t be possible.” and dismissed it. Yesterday, I noticed his respiratory rate was changing a lot and thought that was funny because the vent should be giving a constant rate of respiration so I asked the nurse and she said David was breathing some on his own but not enough to sustain life because he would breathe fast, a little or none at all. Today, he has been breathing consistently on his own and they plan to wean him off the vent, Lord willing, in a couple days!! He is still in a coma but we’re praising the Lord for the great things he is doing. You could truly feel the praises going up into the heavens as people gave thanks to the Lord for His mercy. It was the first big physical indication that there was healing going on inside David’s brain. Words truly fail me in expressing that joy that I felt when I read her post. I cried. I rejoiced. I prayed. Of course, this battle is like so many…you gain ground, then lose some ground, then push ahead further. Then it’s time to regroup and plan the next attack. In just two short weeks, David has moved so far forward. And he has a long, long road ahead. There hasn’t been a lot of new things with David lately. He has been having trouble tolerating the tube feeding. He has had a bronchoscopy and chest x-ray which are both clear…so no pneumonia, which is good. He is completely breathing on his own with some supplemental oxygen! But his breathing has been a little labored and congested. The last two days, he has been opening his eyes some (mostly slitted) but not really focusing on anything. He will squeeze my hand occasionally but not with commands but it is still really awesome. 🙂 He seems to calm down when his parents sing softly to him. He must find some comfort in hearing their familiar voices and the sweet words of hymns. Please continue in prayer. This battle is far from over. It was like going over the top of a roller coaster when your stomach jumps. How easily I could have just given up hoping, yet the Lord God is the one who is directing this–He is the One who has the plan. Again so many prayed and praised and thanked the Lord, again encouraging the family, regardless of the ultimate outcome. Update: David is back on the ventilator for some support breathing because he has been laboring breathing a bit. He is still not tolerating the tube feeding and has been vomiting several times a day. They are wondering if he has a bacteria in his digestive tract. Last night, they did a CT scan of his chest to check for a blood clot in his lungs. We should get results this morning but last night, nothing serious was brought up, so I think he should be clear of that. Last night, when I saw him, he looked peaceful and was breathing evenly. The Lord gives and the Lord takes away…may we still remember that He is faithful, merciful and good even though every day seems to take us on a roller coaster. I marvel at the grace and peace that the Lord has granted. Pain that I cannot truly even imagine in the lives of this newly married couple. Family members and close friends driven to their knees in prayer during this aptly labelled “roller coaster” ride. And yet, hope remains. So often we hear and read about Christians and their divisiveness. How un-christian the Christians behave. People who bear the name of their Savior, yet who can’t seem to bear their brothers and sisters in that very same Savior. And yet, this situation with a critically injured young man has allowed the light of Jesus Christ to shine through the lives of thousands all around the world. For many of us watching this Divinely purposed situation unfold, it has been most thrilling to our hearts to see such a coming together of the Body of Christ, such wonderful distancing of ourselves from religious labels (that will blow off on our way up anyway), to support and surround other members that are in pain and great trial. Members that have hardly any other connection than that we are “members one of another.” To Him that gave Everything for us, be the praise! So many people, all brought together through their faith in Jesus Christ, crossing so many man-made barriers to fellowship. United in their purpose of praying and petitioning Almighty God on behalf of a fellow-believer in need. “I just talked to Dr. Yasbeck who said David is more responsive the last few days and his eyes open spontaneously now. I asked if he is [e]merging from his coma and he said it is difficult to know that. He said he would not be surprised if David responds more, to voices and singing. He also stated that there is slight improvement in David’s right arm movement. Things to pray for: David has been battling a fever, Dr. thinks it may be bronchitis or an infection in his digestive tract. Good news: today David was transferred to [the] Rehab facility at 10:45PT. Yesterday, David was moved to a rehab facility to begin the next phase of his healing process. Interestingly, Rachel is a Physical Therapist. Ironic? Coincidental? I don’t think so. I believe it was all part of God’s plan in bringing these two lives together. David is settling in at his new “home”. They are going to take it easy on him this weekend and not progress things much, but next week they will start bumping up his Physical Therapy, working on getting him more independent with his breathing, and starting him on some drugs that should make him more alert and stimulate neurological recovery. I am very pleased with the competency of the staff there and look forward to working with them to help my husband come home! 🙂 I have a LOT of driving ahead of me in the next few months because he is 2 hours away from home and 2 hours away from my work so pray that my trusty Honda gets me the places I need to be and I have [the] endurance to keep this marathon up. Thanks again for all your prayers so far! It really is a miracle that David is at [this facility] and I feel bouyed up on God’s strength. We are reminded of our human frailty and how our lives are held in a fragile balance. If David could have one wish out of this whole thing, I believe with all my heart that it would be that souls would bow their hearts before the Creator and Saviour of the World and accept his propitiative work on the cross for their sin and make Him Lord of their lives. Thank you all so very much for your prayers on behalf of David and his family. Please continue to pray. The needs are very great. May many lives be turned to the Lord Jesus through the testimonies of this family. Truly, our God is a most Awesome God! It has been almost impossible for me to write since my last post. I learned that a family, whom I have loved my whole life, is being tested in an excruciating way. Old sorrows have crept to the surface of my heart as I have been in prayer for this family. And losses that are decades old feel fresh and brand new. 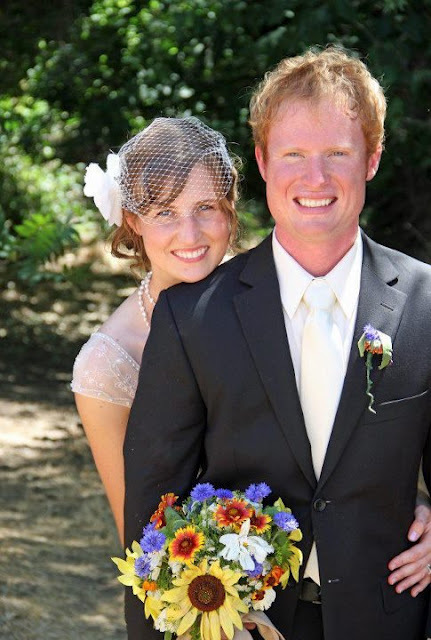 This post is limited to soliciting prayer for a young couple, David and Rachel Hanson (pictured below at their wedding just a few weeks ago). This couple has now, in just a few short weeks, had their lives unalterably changed by grief. David, a lineman for a company in California, suffered a very serious fall. Reports have varied as to the height of the fall–I have heard 40′ to as high as 60′. He suffered skull fractures and serious fractures to pelvis and other bones. He has also suffered an apparently devastating brain injury. As I write, members of the family, mostly in Wisconsin, are gathering to be with this injured son/brother and his young wife. I confess I have never met either of these two young people, but I have loved David’s grandparents, aunts, uncles and father as if we were related by blood. One day I will write more about that. For today, I plead that as you read this post you lift up this family to our great God, the great Physician. The Lover of our souls. I do not know what purpose God has in this tragedy. But I do know that David and Rachel have lived their lives to honor and magnify their Savior, Jesus Christ. Wholly His. My prayers now are more like groanings. Words fail me as my heart overflows with grief and my eyes repeatedly fill with tears. Please join the over 2500 people who have come together, literally from the ends of the earth, in prayer for this family. 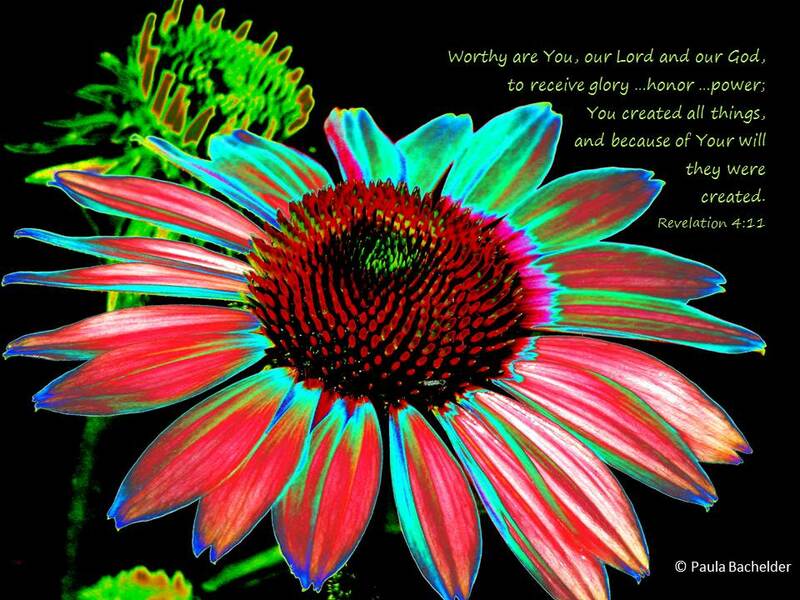 Is the Lord God Almighty! So we are in the throes of potty training Curly Top. She is doing a great job using the potty for her pee pee. Woo hoo! Not such an expert in the other area. But she does an awesome job hiding where it lands. There is a little problem, however. She thinks she’s a boy. I know…she also thinks she’s a princess. 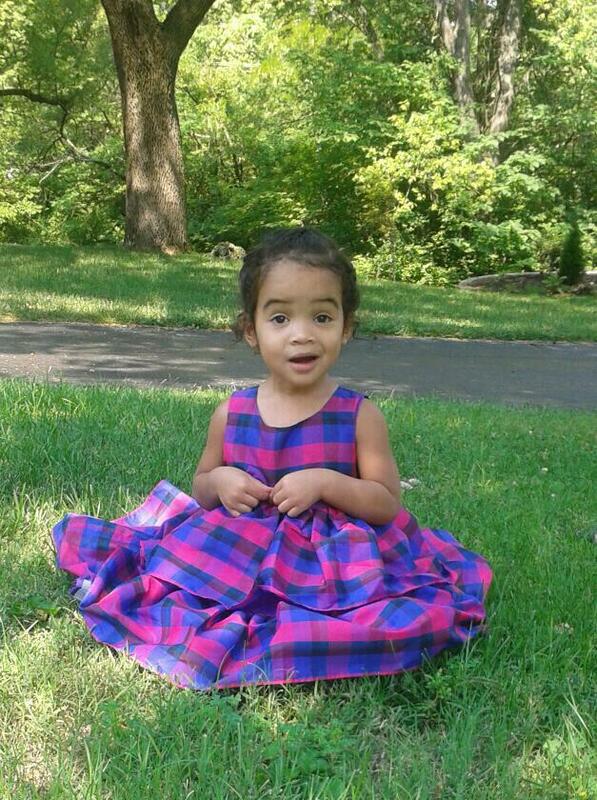 She likes her fancy party dresses, her tutus and sparkly shoes. And the boys’ boxers and briefs with Thomas the Train and Spiderman and all the other super heroes…but I digress. My crazy little granddaughter has brothers…and they have to take careful aim when they go pee pee. Ahem, there is a REASON for aiming with care. And it isn’t optional. But my crazy girl thinks she needs to aim, too. She sits on the potty backwards, and aims. All over the back of the toilet. Ugh. So much for her older brothers setting an example for her to follow. Or maybe they actually DID…I see some retraining in their future. But it could be so much worse…Australia, who has been away for the summer, apparently thinks she goes potty out of her belly button. I just don’t think she will be trained before she starts back with me in a few weeks. And that’s ok. One at a time is a lot easier to manage anyway. So here I am, after all these years of training little people on the finer points of potty training and the appropriate decorum that accompanies said activities, perplexed and totally confused, and without an idea as to how to proceed.